District Grants will fund club and district projects, providing local emphasis and flexibility in carrying out activities that support the Foundation's mission to “do good in the world”. The following points highlight the criteria for project proposals for Rotary Foundation District Grant funds. Click here for the Full District Grant Criteria document. Projects must fall under at least one of the 6 Areas of Focus of the Rotary Foundation. The Club must have a significant financial contribution to project (30% min. of project budget). Note that District Grant awards are competitive and club contribution percentage to the project will be considered in selection for award. Small Grant Requests: Rotary Clubs, Rotaract Clubs or Interact Clubs can submit project proposals requesting up to $1500 in Grant Funds. It is expected that these small projects will be focused on local community needs. These projects are required to have a term less than 12 months which includes the submission of the required Final Report. Large Grant Requests: Rotary Clubs, Rotaract Clubs, Interact Clubs or District Committee can submit project proposals requesting over $1,500 and up to $5,000 in Grant Funds. Note that if the grant request is over $5,000, the proposing group needs to contact the Grant committee chair to get guidance before completing their proposal. For projects with a budget over $30,000 the proposing group will be encouraged to submit for Global Grants, which have $30,000 project size minimum but will have matching funds. Large Grant projects should involve partnerships between multiple Rotary Clubs, between a Club and one or more community service organizations and/or be initiated by a District Committee. These projects may cover community needs remote from the local community including international locations. Note that sustainability will be a more significant factor in the evaluating, large grants. These projects may have durations of up to 24 months with an Interim Report required at the 12 month mark and a Final Report required by month 24. A club may have no more than two (2) large grant projects active at any given time and the first project must not be delinquent in any way for the second large grant to be awarded. Each applying Club must have a positive history of Rotary Foundation Annual Fund contributions. District grant awards are competitive and each club’s Annual Fund contribution history will be a consideration in the award decisions. Projects should be new or may be an expansion of successful past projects. Direct Rotarian involvement is an evaluation criterion. Projects expenditures cannot start until after notification of award and after start of the next Rotary Year. Proposing Clubs must be not be delinquent on any active grants when applying for new grants. Use of District Grant funds must be in compliance with the published Rotary Foundation Terms & Conditions. 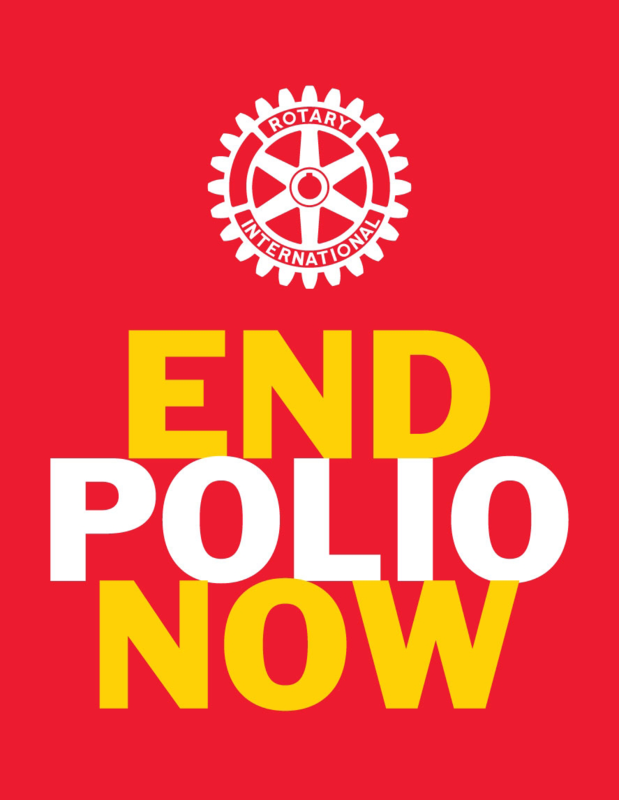 Click here to download the Rotary Foundation Grant Terms & Conditions. District Grants are applied for directly online. The link below enters one into the District Grant Committee's online application module. District grants are funded solely by DDF generated from a district’s Annual Programs Fund giving from three years prior, including Permanent Fund SHARE earnings. District 7430 will request up to 50 percent of its DDF each year, based on a District Spending Plan submitted after the various club and committee projects are approved. District clubs and committees must submit applications/proposals online or using the proposal form found by clicking the link below. Club and Committee submitted projects selected for funding based on the proposal approval process are funded by this District Grant. Clubs and Districts will apply for District Grant funds and for Global Grants for their projects from August – March each year for the next Rotary year… i.e. Project proposals submitted by March 15 each year will be reviewed and approved or rejected in April. District Grant Funds for the District Grant projects will be available sometime after after July 1st each Rotary year. District 7430 will receive one block payment after 1 July to for Rotary year for which the project payments are intended. Clubs and/or Committees will receive payments for their projects after the District receives its disbursement and when the project requirements are met. A club can have a maximum of two open District Grants at one time and all club/committee district grants projects must be current on reporting before the club/committee can submit for any new District Grant funded projects. For Small Grants, clubs must submit a final report within 12 months of payment of the grant funds. 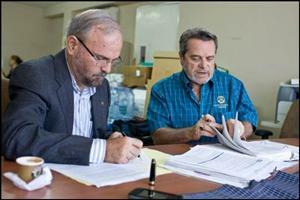 Large Grants have up to 24 months to complete and file final report. District Grant Final Reports are filed through the Grant Module and will be reviewed and then closed by District TRF Committee. This report must include a final list of funded activities and be submitted online and/or in an approved format . Note, some changes in project funding may occur between when a district submits approves an original project and when it submits the final report. Clubs/Committees must note these changes on the report.